Relax in deep comfort on the Lucca recliner range, beautifully made for relaxation. This fantastic large corner sofa is 100% leather with high sprung backs and fibre-filled back cushions. It has premium lumbar support, padded headrests, luxury fibre filled arm cushions and higher density foam with fibre seat cushions. 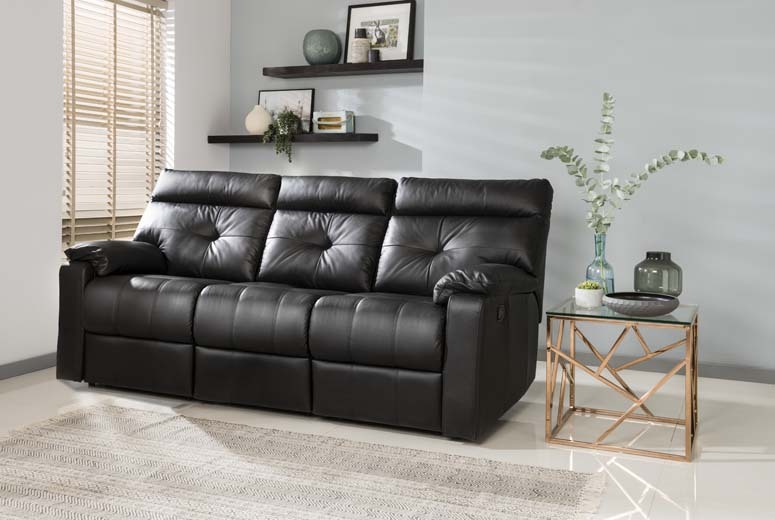 The amazing Lucca range in soft touch black leather is also available as a 3 seater sofa and a 2 seater sofa, both with two recliners. Or why not choose a recliner chair! This collection is part of our exclusive Italian designed range. 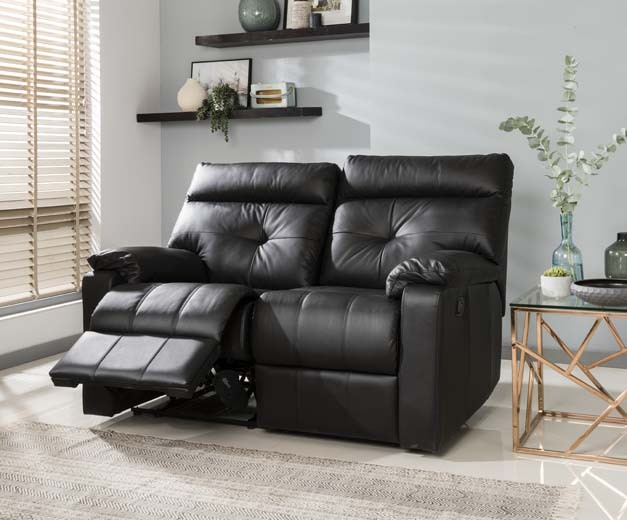 Relax in deep comfort on the Lucca recliner range, beautifully made for relaxation. 100% leather with high sprung backs and fibre-filled back cushions. The amazing Lucca range in soft touch black leather.